Reprinted courtesy of NASCAR Media Group. HERB BRANHAM: Thank you, good afternoon, everyone. Welcome to kind of a special combined NASCAR and GRAND-AM teleconference as we’re looking ahead to this weekend’s road races at Watkins Glen International, the famed road circuit in Watkins Glen, New York. Big weekend on tap. Saturday afternoon, NASCAR Nationwide Series action, the Zippo 200 at the Glen, followed that evening by the GRAND-AM Rolex Sports Car Series, that will be the Watkins Glen 200. Sunday afternoon, the NASCAR Sprint Cup Series is on center stage with Heluva Good! Sour Cream Dips 400 at the Glen. Today we’ll have three competitors who will all be doing NASCAR GRAND-AM double duty this weekend. David Ragan will be in the No. 6 UPS Ford in the Sprint Cup event, Ricky Stenhouse Jr. will be in the No. 6 Roush-Fenway Racing Ford in the Nationwide event. Ricky, by the way, leads the Nationwide standings. Then those two gentlemen will co-drive in the GRAND-AM Rolex Series race in the No. 11, TPN Racing/Blackforest Mustang, that will be in the Rolex Series production based GT class. Third guest today, Andy Lally. He’s having a great rookie season in Sprint Cup, and the No. 71 Interstate Moving Services Ford. 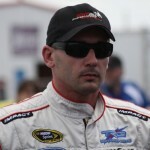 Andy’s also going to be in the GRAND-AM race. He’ll co-drive the No. 66 TRG Porsche GT3 with Duncan Ende in the GT class. David’s with us already. I don’t believe we’ve been joined yet by Ricky Stenhouse or Andy Lally. Whenever those two guys come in, we’ll get them on the call. But we’ll start off with David Ragan. David, got your first win a while back at Daytona unbelievable night that was. So obviously you know things are looking up here. In the Top 20 in the Sprint Cup points. Now you’re going to do some GRAND-AM action. Just give us a little overview about this week and how much you’re looking forward to it? DAVID RAGAN: Yeah, thank you. That was a great win for our team. It was good to get that first win over and behind us. Now we’re focused on getting that second win. But as far as this weekend goes, the road courses are certainly not my strong suit, and as close as we are to making the Chase and having a real shot of being a contender for that Top 10 in points or the two wildcard spots, we knew this was an important race. So Jack Roush and the guys at Ford Racing, had some connections with the car. The group that runs Jack Jr. and Billy Johnson’s road racing team will be taking care of the car this weekend, and just a chance for Ricky and I to get some seat time. I don’t think he’s the best road racer either, and he’s obviously leading the Nationwide points so it’s an important race for him. To be a better road racer, I’ve enjoyed it, but I just need more seat time any time that I get an opportunity to. So I’m looking forward to it. I think it’s going to be a lot of fun, and I can’t wait to get up there. We were able to shake the car down at Carolina Park, Carolina Speedway at Kershaw, South Carolina yesterday. It was a lot of fun. 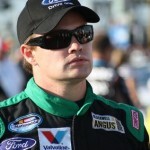 HERB BRANHAM: We are joined by Ricky Stenhouse Jr., our NASCAR Nationwide Series points leader. Ricky, NASCAR and GRAND-AM action for you this week. Tell us how much you’re looking forward to it. 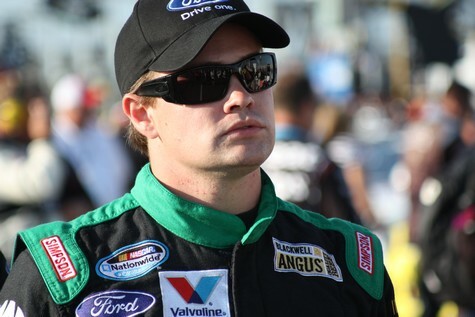 RICKY STENHOUSE JR.: I’m looking forward to it a lot. Watkins Glen is a racetrack that I’ve not driven on yet other than video games. So to get out there and get more laps, like David said, Ford Racing had connections with this race car, and we’ve got a good team working on it. It’s going to be good to get us some laps. Any time you can get seat time on any road course is good, but definitely the one that you’re going to run on later in the day, it’s going to be good for us. We’re just going out there to try to learn as much as we can about the racetrack and about road racing to make our Nationwide program better. Q. If you could touch briefly on – we know that you know how to do this. You just need to get better at road racing, and the GRAND-AM race is be an opportunity for that. But if you could both explain to us what it is that you take from the information that you get from the cars, do you use telemetry to get faster? Will you use throttle tracings to get faster? 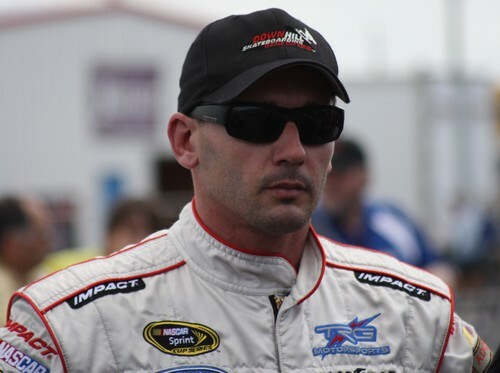 What is it that you do in the GRAND-AM race that is going to help you in the NASCAR racing portion of this weekend? Where do you spend your time trying to improve? 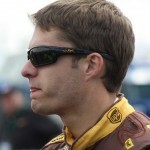 DAVID RAGAN: For me, it’s all about getting experience where I can drive the car hard and be comfortable. That’s what makes you a good racer in any type of series or any type of racetrack whether it’s dirt or asphalt or a road course. If you can drive it hard and still be comfortable and go fast, that’s what it’s all about. With the testing regulations that NASCAR set upon us, we can’t take our UPS Ford to Watkins Glen and practice. You only get an hour here and an hour there, and then it’s time to race. So for me it’s just about learning the racetrack. We will look at a little telemetry. Ricky and I will probably look and see what not to do from each other, but more or less just make laps and try to get as comfortable as possible. RICKY STENHOUSE JR.: Yeah, I feel like David pretty much nailed that. For me it’s never being too Watkins Glen, it’s just being familiar with the racetrack and with the surroundings. Obviously you can’t take the braking points away from the GRAND-AM car and Nationwide car. But the lines are going to be identical, and obviously it’s the same racetrack. So really just getting comfortable on the racetrack for me. Q. What is the big difference between the cars? I mean, GT car and a 3400-pound stock car are different, but with is it, if you could put it if your words, what is the difference in the cars? DAVID RAGAN: I think the difference is that this is a specific built road racing car. It’s very light. There are not a lot of rules. You run carbon fiber body panels. You can do a lot of things to the transmission and brakes and components on the race car that make it a specific car for road racing. To where our stock cars are kind of that’s what they are. We makeshift them to turn left and turn right. They’re really built to run ovals. So the car will definitely drive better, it’s lighter, it’s lower to the ground, so it’s just more of a purpose built road racing car to where our stock cars are really purpose built to turn left only, and we crunch them two times a year to turn left and right. Q. David, I have a couple for you if you don’t mind. When you start looking at the points and the races coming up between now and the Chase and the potential for you to get in on the wildcard, what do you think is your best track coming up? Which one looks best for you guys to make another trip to victory lane? 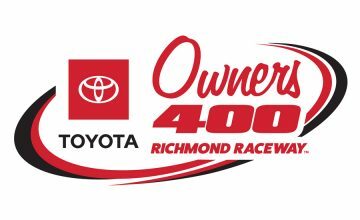 DAVID RAGAN: I think the best one, just on recent performance is Richmond. We finished fourth there in the spring, we were the fastest car at the end of the race. Kyle and I believe Denny stayed out and were close on fuel, and we had a great shot to win that race. That’s going to be a good one. But Michigan is a great track for us. We always qualify well and run well there. Really, Atlanta and Bristol can be good for us too, the only tough one is Watkins Glen, so that’s why we’re trying to do anything that we can to just make sure that we don’t lose anything this weekend. Those next four, I couldn’t pick a better four races to go and try to gain some points or get that second win. Q. I know Jack has said he’s working on sponsors for all the cars and whatnot, but can you talk about where you guys might be with the No. 6 car? Is there anything when you won at Daytona, was there anything that was in your contract like a performance clause or whatever that says if you get a win now that’s going to lock you in for X-number of years from here on out? DAVID RAGAN: No, there’s really nothing in my contract that states anything that specific. To tell you the truth, I’m not even that familiar with exactly what my contract says other than I need to do the best job that I can and go do my job.
. But obviously where we’re at sponsorship-wise is a great question for Steve Newmark or some of the management at Roush Fenway Racing. My job is to work with my crew chief, my team engineer, try to be the best driver I can, not make mistakes and the rest is something that’s a little bit out of my control. I feel like we’ve got a great relationship with UPS that is tied in with a lot of our other sponsors at Roush Fenway. I hear a lot of positive talks from the negotiations going on. So I’m very optimistic about what’s going on. But I can’t get sidetracked off driving the race car. The win was great. Top 5s and Top 10s are great, and that’s what we’ll try to keep doing. Q. Is this something you guys wanted to do, did you volunteer, did you bug somebody to do this? How did this all come about? RICKY STENHOUSE JR.: We were sitting in the drivers’ meeting at Nashville and Jack was next to me and leaned over and said, hey, I’m going to get you some laps at Watkins Glen, and that’s really how I found out about it. It’s definitely a great opportunity for myself and David. If the opportunity for us to volunteer for it, we definitely would have. But I think it just kind of came together really quick and something Jack wanted to do for both of us. DAVID RAGAN: Yeah, I’m kind of in the same boat. I was bugging Jack to try to get into a Nationwide car at Watkins Glen, but it worked out where Ricky needed some seat time, and where we could get into something else and make some laps besides the Nationwide car and be a teammate with two drivers. So something that we’ve never done before. 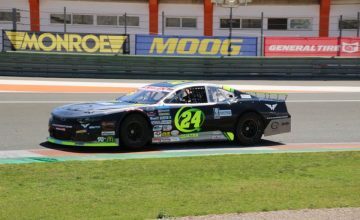 I think it’s going to be a lot of fun, and hopefully it will be a successful run where we can make all the laps and learn some things, and hopefully start some talks about maybe trying to run a few more throughout the year or even in the next year. Q. Is this car you’re running, is this a Jack Jr. prepared car? DAVID RAGAN: It’s prepared by the same crew that takes care of Jack Jr. and Billy Johnson’s Ford Mustangs. That same group of guys that travel with those cars will take care of it. Q. Are you looking at this as work or play, because it seems like if I had a GT Mustang in my hand and a two and a half mile road course, it would be kind of a fun experience? DAVID RAGAN: I’ll let Ricky take that, but it will be work and fun. It will be both. But we’re certainly enjoying it, and it’s something we want to do. RICKY STENHOUSE JR.: I definitely say it’s going to be work because we’re going to be out there trying to learn as much as we can. But at the same time what David said, it’s going to be something new, and it’s going to be something fun. Any time we get an opportunity to go out and do something new that’s different than what we normally do, it’s a lot of fun. It’s going to be a little bit of both. Obviously we’ve got to take it seriously. There are guys running for championships in those series that we’ve got to take into account too. So it’s going to be work and fun. Q. Lastly, David, how has your life changed since you left Daytona? DAVID RAGAN: Well, I think obviously that win is something that you think about trying to get a win at the Sprint Cup level. I won a couple of Nationwide races, won an ARCA race or two. So just trying to get to the Sprint Cup level is tough, but then trying to be a successful competitor is equally as tough if not tougher. So I just think that after that you feel a sense of relief that you were finally able to get that win and now you can move on. But at the same time you still feel that there is more pressure, because now, hey, I’m a Sprint Cup winner, I’ve got a good team. We need to keep it going. We can’t just stop here and take it easy the rest of the year. Definitely enjoyed that win with my family being there and at Daytona. But then at the same time it makes you want to get back to the shop or get back to the gym and try to work harder because that feeling is so good that winning feeling that you want to experience that more often. Definitely a good feeling, and couldn’t have been more proud to get it at Daytona. HERB BRANHAM: We’re joined by Andy Lally now, and I wanted to give a quick intro for Andy and let him give us an opening comment about his outlook this weekend. Andy, racing both Sprint Cup and Rolex Series, big weekend for you. Tell us about it? ANDY LALLY: It is certainly a big weekend for myself and TRG Motorsports. We’ve got two races on the plate this weekend. I’ll be back in a Rolex car for the first time since January when we won the 24 Hour. And I’ll be back doing what is my favorite NASCAR race of the season, which is the Watkins Glen road course. Really looking forward to both of these events, especially the Cup race. Two years ago today was my debut in the Cup Series, in the 2009 race up there and we had a great weekend and I’m just looking forward to more and more. Our guys I think have improved our road course car a little bit from Sonoma. We struggled a lot there. But we’ve got some things in the fire and looking forward to trying to defend our spot, the last spot in the Top 35 here this weekend. Q. Ricky, the smoke might have cleared figuratively and literally from Iowa. I know as everyone was leaving the track the discussion was that there would be a regular meeting at the Roush Fenway shop on Tuesday. Can you give me some ideas of what to discuss with Carl and Jack sit and talk about what went down in Iowa and turn the page? How does that work? RICKY STENHOUSE JR.: The page was definitely turned. The meetings that we have were kind of just to debrief the weekend and do the things that we could do better as a team, better as a company to make our cars better and what we could have done different. Driving-wise, Jack doesn’t really try to get involved with that. He kind of lets the drivers handle that, so Carl and I handle that. We’re all good. Carl has taught me a lot throughout my career so far coming over here to Roush Fenway and stock cars. You know, he’s helping me a lot here from Watkins Glen with shift points and things like that. He’s a great teammate. Obviously we both like to race hard and win, and any time you have a teammate and cars that run up front and battle for wins, every now and then you’re going to have a little tension but nothing you can’t get over. Q. Allow me to fast forward quickly, I’m working on some advanced stuff for when you head north here in a couple of weeks. Last year, 23rd on the grid, 24th finish. I think you were down to 37th at one point and had a speeding penalty. It was an eventful race for you. Fierce on brakes at the hair pin, and the chicane is tricky. And Carl will have his car qualified by someone else because he’s going to be down in Michigan and come up and have to run from the back of the pack. At some point he’ll be in your rear view mirror, I guess. Talk to me about Montreal, what your recollections of the track were last year, and what your expectations might be for this year? RICKY STENHOUSE JR.: I learned a lot at Montreal last year. Obviously we got in a wreck early coming around the blind corner there, I think, turn five. So we’ll take our time. We’re going to be patient, and make sure that we have a car to get to the end of the race, which, I think, is a key thing at obviously all racetracks but definitely these road courses. Having good brakes on them, the guys at the shop have been working really hard on that. I think Carl and Marcos Ambrose are both coming up from Michigan there. They’re both going to be coming from the back and both going to be coming hard. Hopefully when they get to me and pass me, I’ll be able to follow them and learn a few things from them. Q. Last thing quickly, Ricky, is there a special challenge when you’re on a road course and you’ve got some ringers in guys that specialize in road course racing and this is what they do for a living. For a young guy like yourself who is learning every single time out, is it a special challenge and maybe a little rewarding to work on a road course with guys like these? RICKY STENHOUSE JR.: It’s definitely cool to be able to race with guys that are really good on road courses. You kind of come to their home turf and run with them. When they see a few things maybe during practice if they’re behind you, they’ll come over and give you some pointers. So I think that’s really cool. Like you said, they’re aces on road courses and it’s just cool to be out there and race with those guys. Q. My first question is for Ricky. You’ve raced some SCCA in the past; is that right? RICKY STENHOUSE JR.: Yes, I have. Q. How can you use that specious in your migration at GRAND-AM this weekend? RICKY STENHOUSE JR.: Running the SCCA class there. I ran a couple at Road America, I forget the other racetracks that we ran. But one of the difficult things about the GRAND-AM race is going to be having faster cars out there running with you. You’re going to have to use your mirrors a lot. Kind of the same thing that happened in the SCCA class. There are all different kinds of race cars on the racetrack at one time. You’ve just got to be aware of those things and the other guys out there. So that’s going to be a challenge, but I think some of that experience from the SCCA class will definitely help. Q. Your former teammates at Kia are going for the championship this year. As a former factory driver until you got your Sprint Cup ride, how much pride do you take in that development? ANDY LALLY: That was a pretty neat program last year. It is fairly ironic there. They are leading the driver’s championship over three points. That’s Nic Jönsson leading the championship there and he’s leading the championship over my roommate Ryan Eversley, so it’s tough for who I’m going to root for here. Obviously I’ve got good friends and an old teammate there, and I’ve got one of my best friends that lives with me down here in Atlanta, so it’s going to make the final event at Mid-Ohio really, really tough. But those guys have come a long way with that car and they’ve really done a good job. Q. Which turns at Watkins Glen have you found to be the most difficult and that you’re looking at improving on? ANDY LALLY: You’ve got to exit the top of the S’s fast in a Cup car, and you’ve got to get out of the outer loop fast. But those two things are very key. But you have to be able to transition through the bus stop. That’s super key for the Cup car. For the Rolex car it’s actually going to be getting out of turn one because it’s easy flat up through the S’s. So you’ve got to be able to turn through the middle of turn one there. As you’re coming down you’re going to typically going to get a little understeer before you can press into the hill. But you’ve got to be able to get to the power as early as you can because that straightaway is one of the longest all season minus Daytona and Homestead and it’s uphill. So you’ve got to run out of turn one, and that’s going to be a pretty key factor especially on the short course. 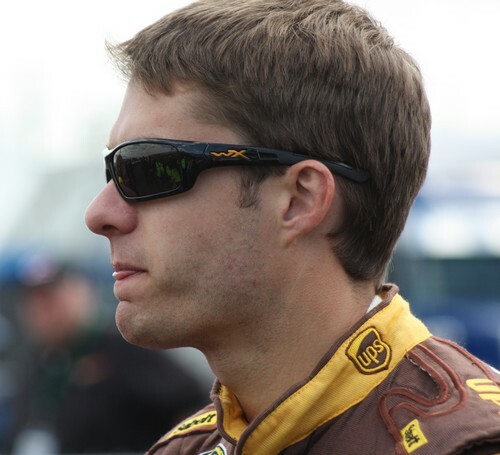 DAVID RAGAN: I wanted to let Andy say something first, maybe I could learn something from him. But for me it’s all about getting out of the bus stop, I believe through the right-hander, leading to the back straightaway. I think that’s turn seven. Can’t really remember, five or seven. But that’s the most important part for me. I feel like that’s where I’ve struggled at. You’re so used to Watkins Glen at most of the corners, heavy braking, setting the car, really turning and rolling through, then to go through the bus stop and to have that kind of lazy right-hand turn is something that you have to change your mindset about how you approach that. So getting through that part of the racetrack and really accelerating off of that corner is something that I’ll work on all weekend. Q. David, you mentioned seat time, could you compare like all the different – you know you’re getting into a GRAND-AM car. Can you go back and go into a Legends car? Can you explain what you might expect to pick up fast and what you know is going to take a little bit longer? DAVID RAGAN: I really don’t know until I experience it some. The reason we all try to race as much as we can is the more you’re behind a wheel in any type of car at any type of racetrack, you just get better. You learn how to train your mind and your reflexes and everything just seems to be better the more diverse that you’re experience can be. Going into the race this weekend there are just a lot of new things in our surroundings. The gauge panel is different, the shifter is different, the seat, the way you get in and buckle up, things that you take for granted in other racing divisions is completely new. It’s kind of like Andy coming over to our world and everything’s just different. So for me, I’m going to try to pay attention to the small things and try not to look foolish and do something stupid. I don’t know what will be able to be picked up on easy. I think being at Watkins Glen prior and I think knowing the racetrack a little bit, I think that will be the easiest thing. The hard part for me will be learning how hard I can push the car, where I can pass at, just anything to get in that rhythm of road racing will certainly help our chances on our UPS Ford. Q. Ricky, you had a kind of troublesome year last year where the crashes went against you, and you just had one where the crash went with you. Can you explain how that feels and how you feel this year over last year? RICKY STENHOUSE JR.: Obviously we feel a lot of relief this year. We started feeling the relief about halfway through last year and kind of turned it around. But when you’re crashing all the time and tearing up race cars, it definitely kills your confidence. But the good thing is Jack and everybody at Ford Racing and everybody in our company kind of stood behind us and let me figure things out. We got it figured out and like I said, we’re having a lot of fun this year and we’re in contention to win this championship. I think everything so far has paid off. Q. Andy, as far as you having better experiences with a couple of other guys, Boris Said, and Marcos Ambrose, a lot of times Marcos gets fouled on the track, I understand, during practice because sometimes he gets a little cagey maybe making moves and that kind of thing. When you come to Watkins Glen, do you get a lot of questions asked of you? Do you get a lot of the Cup drivers coming up to you or trying to foul you or anything like that? ANDY LALLY: I think a lot of the guys are just figuring out who I am this year. Last year I had a lot of guys that I spoke to for a bit. I certainly don’t mind though. One of the guys that I’ve gone to the most this year is on this phone call. I bug David like every other race. I walk into the trailer and I poke him on the shoulder. I’m like, man, I need like 90 seconds, I need this, I need that. It’s like you said, there is an intimate detail on some of the small stuff that makes a big difference. For Ricky and Dave this weekend, probably the trickiest thing that they’re going to have to figure out is this tire. That’s one of the trickiest things it takes me time to figure out on the Cup side making the transition over there is going to a really tall side wall with this Goodyear, which is a great tire, but it’s just different. The tire that we’re running in the Rolex Series is going to be a much lower profile, and it’s going to react differently and it’s going to even actually come in extremely differently. These Goodyears when we roll out a lot of times the very first rotation, and when you go out for qualifying is the stickiest that tire can get. It comes in really fast is what I mean. Where on the Rolex tires, it’s going to take a little while for these things to get good. That, to me, I think is going to be where any driver coming in that hasn’t been on these (Inaudible) series. The car itself is actually going to be pretty similar in roll, feel, especially the Mustang that those guys have, the way I think it will be set up there with the two-frame chassis and the way I’ve seen it run in the past, it won’t be too different. In fact, I like how nimble it is. But how the power goes down and how you get to the brakes will take a little time to get used to. HERB BRANHAM: David, Ricky, and Andy, thank you so much for helping us out today with this call. Best of luck this weekend at Watkins Glen.